Neither is true. True bespoke is fashioned completely from scratch, mindful of an occasion, climate, lifestyle and/or activity. 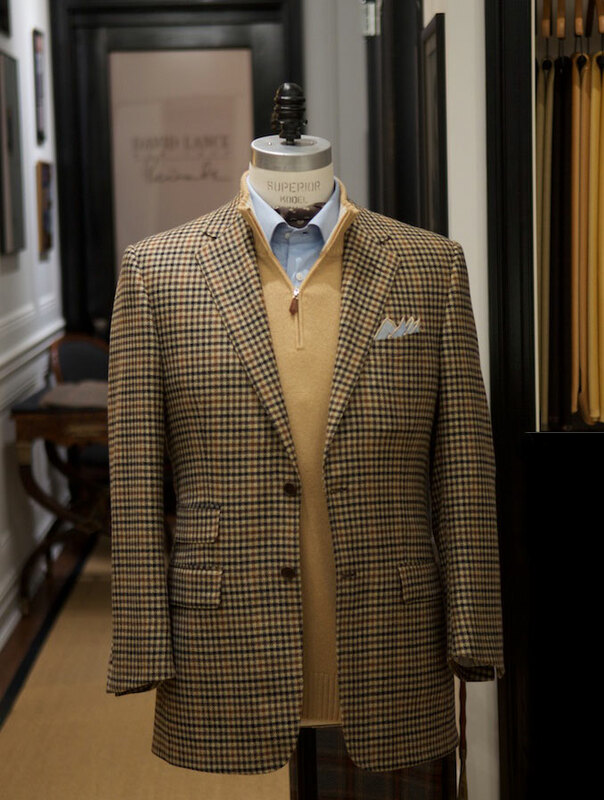 Bespoke tailors like David Lance New York gain the details they need about your life, then craft suits that “suit” you. 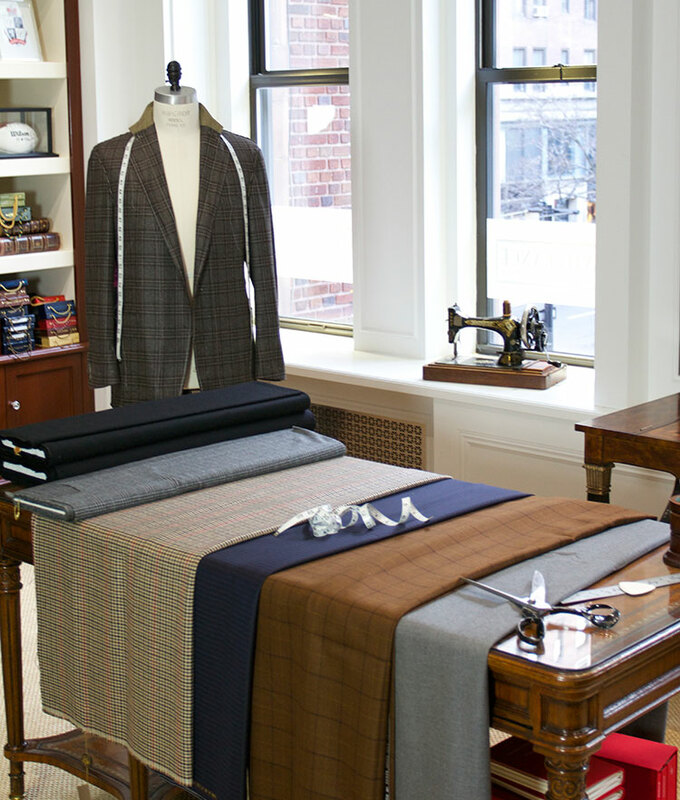 To better your understanding of bespoke suits, let us first define made-to-measure. You walk into a suit shop. A salesperson takes your basic measurements: chest, waist, sleeves, neck, inseam. After you’ve discussed color and material, the salesperson sends your measurements out to a made-to-measure house. A tailor matches a designer suit to your specifics, making adjustments as needed. 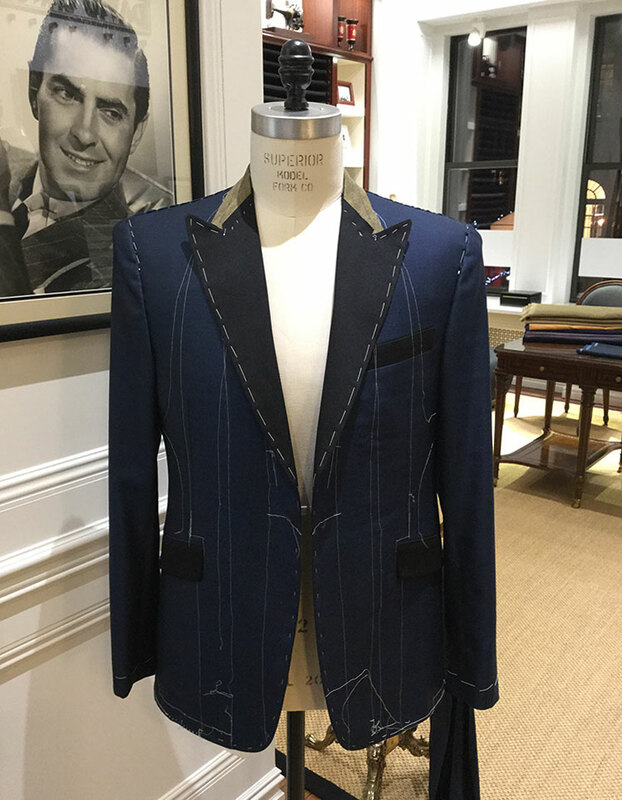 If you choose, the tailor is able to customize certain details of the suit—such as flaps, linings, button color, etc. But other than these simple styling aspects, the tailor cannot deviate from the original silhouette of the suit. This is made-to-measure’s biggest limitation, though many salespeople may try to stretch the capabilities of a designer’s garment. These suits often end up wearing the man, rather than the other way around. The designer’s garment can only be modified so much to fit your body to the best of its ability, and keep any semblance of a balanced suit. TIP: Be careful when you see the term “custom.” A heavy majority—we estimate 98%—of “custom-made” suits are actually made-to-measure and not bespoke. True custom suits are the same as bespoke. The process reflects a popular Japanese dining concept called omakase—meaning that, rather than ordering your meal from a menu, you trust the chef’s expertise. • How much of a role does travel play in your life? • Are there any special occasions we should keep in mind? • Do you view your current wardrobe as a year-round setup, or do you dress more seasonally? These questions, along with the natural conversation that transpires, help your tailor establish a foundation on which to construct your personal wardrobe. By understanding your lifestyle, personality, tastes, and mannerisms, the final product begins to take shape in your tailor’s mind. That vision becomes your story—told through hand-picked materials and accouterments, made to fit you and only you. The storytelling process described above is the essence of bespoke tailoring. As with so many things in life, the real truth lies in the details.